One of the most frequent comments President Lincoln’s Cottage staff hear from visitors is that they never expected the Cottage to be so big! 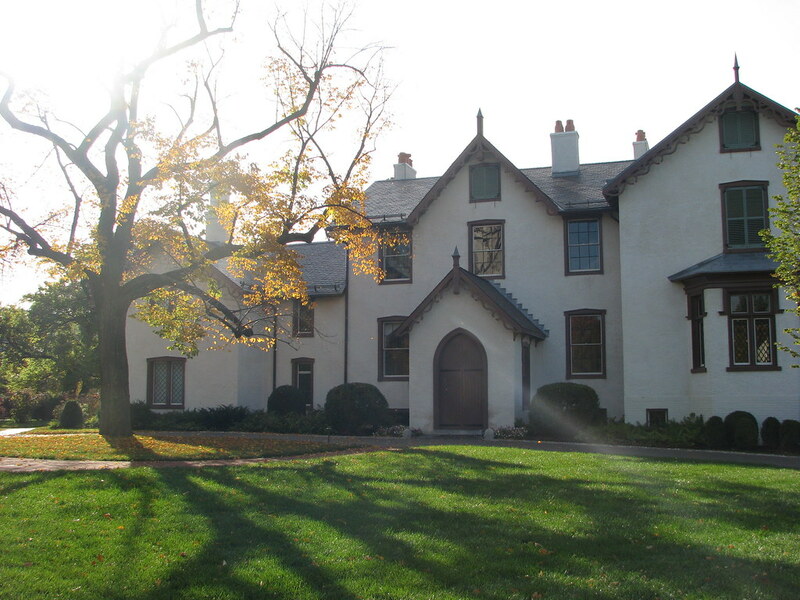 President Lincoln’s Cottage is no cottage, at least in the way most people think of a cottage; it’s a 10,000 square foot house with approximately 34 rooms. The house also defies the type of lodging most closely associated with Lincoln–the log cabin. So why do we use the word “cottage” to describe Lincoln’s presidential retreat? Historically and architecturally speaking, that’s what houses built in a particular style were called. Starting in the 1840s Gothic Revival style country homes, quaintly named cottages, became quite fashionable. While this architectural trend had its roots in England, Andrew Jackson Downing was a major force behind the revival. In the mid-19th century he tirelessly promoted his concept. Not only did he write about why these rural cottages were superior to other architectural styles, but he also designed house and landscape plans for public use. A few of the ideas behind Downing’s plans were: the convenient arrangement of rooms, the simple use of furniture, designing a house that is in harmony with the natural landscape, and creating a home that will be a barrier to immorality and vices. His seminal book Victorian Cottage Residences was published in 1842, the same year that George W. Riggs initiated construction of his country estate (what we now call President Lincoln’s Cottage). The architect of the Cottage, John Skirving, appears to have been heavily influenced by Andrew Jackson Downing’s work. Features of Gothic Revival architecture include: a steeply-pitched roof, gables with decorated vergeboards, a one-storey porch, an asymmetrical plan, windows extending into gables, and doors with a pointed arch shape. In terms of building material, Downing tended to prefer bricks and stucco, not unlike what you see on the Cottage exterior. President Lincoln’s Cottage is a great example of this traditionally rural Gothic Revival style that Andrew Jackson Downing so loved. While our goal at President Lincoln’s Cottage is to make Lincoln’s time at the Cottage come alive for visitors, I recommend next time you visit our site to imagine what this site must have looked like for the original owners, the Riggs family. In order to fully appreciate the Cottage, and what it was like for Lincoln living there, it’s important to think about its architectural style and the intention of the design. For more information on Gothic Revival cottages and landscapes, read Andrew Jackson Downing’s writings, as well as A Field Guide to American Houses by Virginia and Lee McAllister. Ms. Gladstone is a Lead Historical Interpreter at President Lincoln’s Cottage. Yay for Andrew Jackson Downing!! and McAlester! !